"a plan of action or policy designed to achieve a major or overall aim"
"the force exerted by a new idea, concept, technology, or ideology"
Brian has always been an active volunteer from his days in architectural practice back in Niagara Falls right up until the present, when he has volunteered as the Chair of the Government Relations Committee for DeafBlind Ontario Services for over 13 years. 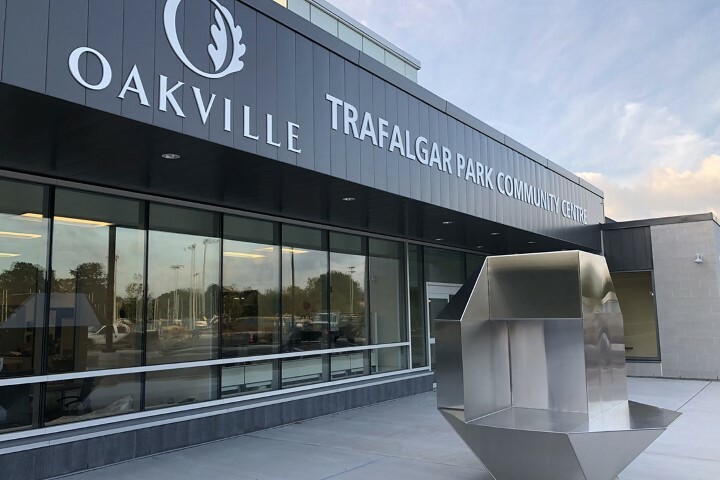 This amazing organization that provides service and support to some of our most vulnerable neighbours celebrates volunteerism and volunteers, especially during Volunteer Week. 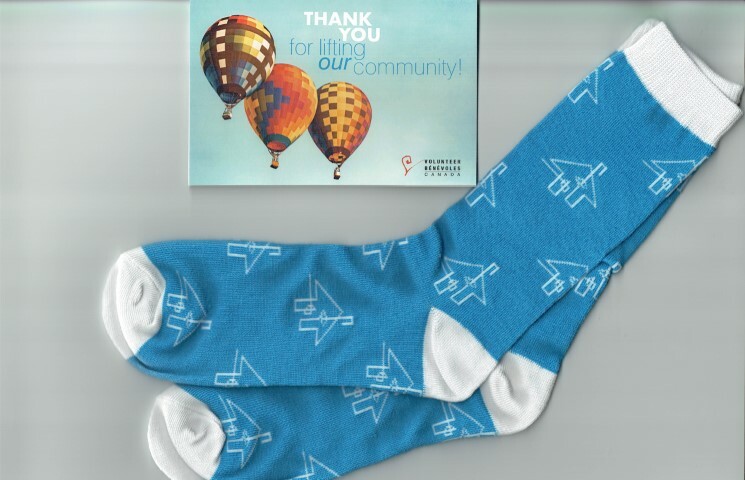 He’ll wear these with pride! A long-time designer client has been working to advance a project with a private owner. Interested in Lean and Integrated Project Delivery, they have discussed moving the project to this emerging delivery model from Construction Management. Engaged us to educate the owner and facilitate the discussion in the Fall of ’18. And the owner decided to do it! We’ve been engaged as the IPD Advisor to the team. The Pre-validation phase is underway! Recent newsletter from Strategy+Business talks about the benefits of employers/managers creating a Good Work environment. Including competitive advantage and attracting top talent. AI is coming. The WHO says stress is “health epidemic of the 21st century”. 24/7 overload and the ‘gig economy’. We launched Strategies 4 Impact! 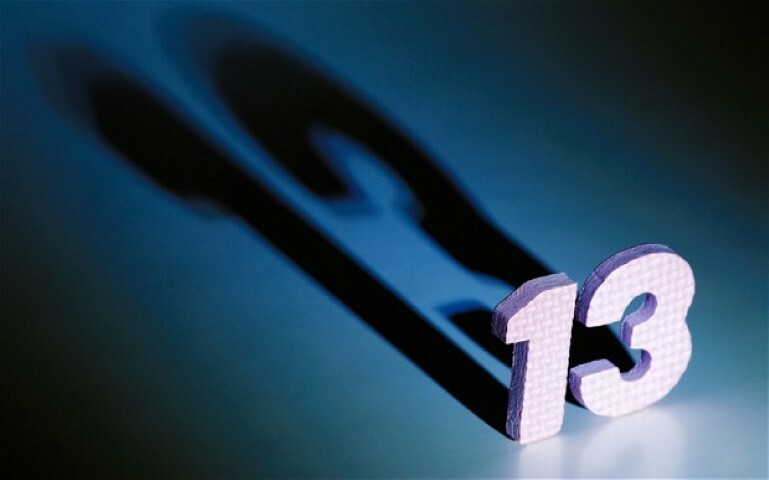 13 years ago, primarily to provide strategic advice and support to businesses in the design and construction sector, their associations and their clients. It’s been a great ride! Lots of variety … a long list of private design and construction companies as clients – facilitating strategic and business planning, for example. Brian spent a year consulting part-time to the Capital Planning and Strategies Branch at Ontario’s Ministry of Health and Long-Term Care. Another 7 ½ years facilitating constructive dialogue between Infrastructure Ontario and the design and construction industry. Lots of education, writing, presentations at conferences. Lately the focus has been on Lean Integrated Project Delivery – educating, training, helping our clients develop their unique strategy for success under this rapidly emerging new option for project delivery. And also servicing clients outside of the sector, for example, four (so far!) cycles of strategic planning for DeafBlind Ontario Services. 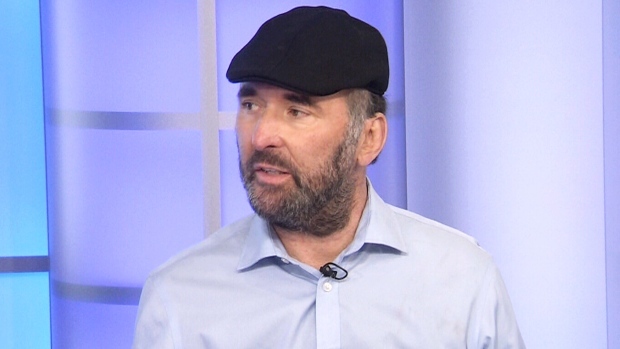 We were struck by this final advice from Paul Dewar, the former MP who died Wednesday from brain cancer. 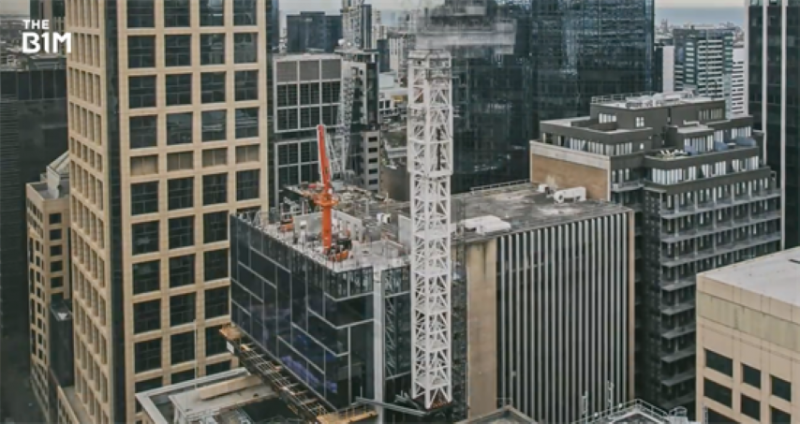 The B1M has a great video highlighting the Tech Trends in Design and Construction we need to tap into in 2019. Brian is among so many who for years – and years, and years … - has been talking about how this sector has failed to take advantage of tech advances. Consider the benefits of creating a business culture focused on mindfulness. CBC ran a piece reporting that the Canadian Chamber of Commerce agrees evidence of climate change is conclusive AND that Canadian companies are prepared to accept pricing as a cost of doing business. The Chamber goes on to tell governments to stop using carbon taxes as a ‘political bargaining chip’. Simplicity, reliability and predictability are what business (and investors) are looking for. This is all included in a report issued this week by the Chamber which represents 200,000 businesses. The report and the Chamber support the strategy of the federal government and says policy u-turns as we’ve seen in some provinces are bad for business. Brian moderated this well-received panel at the Buildings Show November 29 – requests are still coming in for copies of the presentations. The Key Message was that Lean can be applied to design and construction regardless of how the project is being delivered, not just in Integrated Project Delivery. Construction Management, Design Build – even Design Bid Build! Brian opened with an overview of Lean (think Toyota!) and how the design and construction sector has been working over the past 2 decades to apply Lean principles to deliver greater value and quality, reduce costs and schedule on projects. He also outlined some of the key Lean systems, processes and tools that have already been developed to ‘Lean’ these projects – no one has to start with a blank slate. Cliff Harvey, Chief Planning Officer of Niagara Health came at Lean from the Owner’s perspective. Collaboration, Integration, bringing new business thinking to design and construction. Delivering greater value. Marcus Gillam, CEO of Gillam Group, then talked about that company’s “Lean Journey”. (So far! – it never ends!!) He talked about Lean fundamentals and why Gillam is so committed to Lean. He delivered a case study of a project that demonstrated the successful use of Lean tools and processes. Lots of discussion with attendees afterward. Lots of interest in Lean! This quick vid from B1M opens with the move toward super-slender skyscrapers in NYC due to limited land availability and high land prices. But it’s not limited to NYC. It then focuses on a super-slender skyscraper in Melbourne Australia that is unique in that it is prefabricated. The modules are factory built, transported to the site, and installed in one hour. Building enclosure complete with the modules in place. A Really BIG Battery at Last? CBC ran a short piece on Ambri, a company led by two Canadians at MIT. Called Ambri. No, this battery is not lithium ion. It uses liquid metals and molten salt. It doesn’t overheat or explode and lasts a long time. Could this be an answer to storing solar and wind power for use when the sun isn’t shining and the wind is still? A panel of experts at the Canadian Council for Public-Private Partnerships said it’s time for the P3 model we know in Canada to evolve. Principally to keep owners more involved in the projects, for a longer time rather than just at initiation. They actually suggested “More like Integrated Project Delivery”. They also talked about the unrealistic attempts to transfer risks like “fitness for purpose” onto designers and constructors, something Brian emphasizes when talking about Integrated Project Delivery. The objective in IPD is to share risk and reward. Brian spent a couple of days educating clients in Ontario about Lean Design and Construction and Integrated Project Delivery. He helped them explore the emerging opportunities for designers and constructors as more public and private owners are trying this new method of procuring and delivering building design and construction. And develop their strategy for tapping into this market. Then flew to Alberta to educate a project team for a long-established construction company that is planning to pursue a public Lean IPD project. On Day One he provided a broad overview of Lean and how the Lean principles from manufacturing are being applied to design and construction. Then linked it to the integrated team approach that benefits so much from early input of construction trades and suppliers back when major design decisions are made. He discussed the full slate of proven Lean IPD systems, processes and tools that are available to project teams, including the Last Planner System and Target Value Design. He refers to this as ‘firehose education’ because he’s transferring so much information in a single day to give them an overarching sense of Lean IPD. On Day Two he worked intensively with the team to develop their pursuit strategy and begin drafting their proposal. He’s back in Ontario today and will continue to work remotely with the team to finalize the proposal and win the project! Brian facilitated the inaugural roundtable of this brand new institute based at the University of Toronto in the Daniels Faculty of Architecture, Landscape and Design. Experts in health care and design from across Canada and the U.S. gathered to begin the process of identifying priorities for research and gathering of evidence and data to support innovation in design for health care. All of this as our system of delivering that care evolves from instituionally based care, to community and home-based care. Patient centric. The Centre will draw from U of T strengths in health sciences, public health policy, engineering, social sciences and humanities and, of course, architecture. From the director of the Centre "Special thanks to Brian Watkinson, of Strategies 4 Impact!, who most generously donated his considerable expertise to making yesterday a success!" ConstructConnect has done a detailed analysis comparing performance of our two economies. 18 graphs clearly track performance and indicate trends. Interestingly, those graphs have been prepared to illustrate the effect of population and other factors. The U.S. clearly suffered a much greater drop in total employment in the 2008-2009 recession than did Canada. The pickup in jobs from 2010 through 2015 was, however, much faster in the U.S. From 2016 to the present, Canada has ‘upped its game’ and has managed the same solid upward trajectory as in America. Brian has participated as a speaker, panelist and moderator at Construct Canada every year since the mid-1990’s. He’s speaking with and moderating a panel again this year, “Successfully Applying Lean Principles and Processes to Design and Construction”. See item in What’s New October 10. Artificial Biospheres – Viable Mechanism for Coping With Climate Change? Science demonstrates we are experiencing climate change, global warming. And that it is already having significant impact on our world and our lives. Recently the International Panel on Climate Change released a report stressing that we must limit global warming to 1.5 degrees F or face irreversible damage to the planet. See earlier items in What’s New? Now, in the face of the evidence, some (the U.S. President, for example) suggest it’s a blip, and ‘it’ll go back’. There is absolutely no science to support that wishful thinking. Others assure us that we’ll innovate ways to adapt to climate change. One might be artificial biospheres. 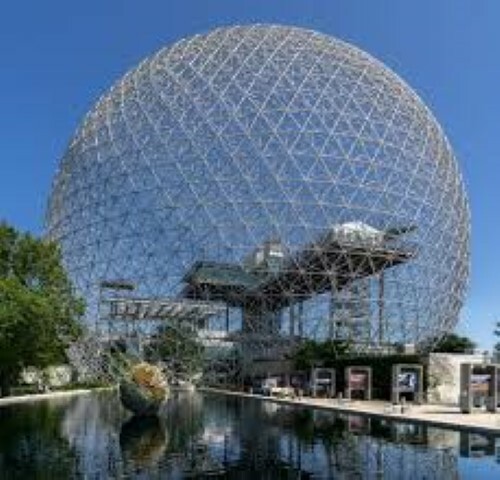 Like this one in Montreal. Here’s a quick and thought-provoking B1M video that talks about those, and that points out that, among other things, this will lead to even more division between citizens of the world … those who can (afford to be) inside, and those who are left outside. Yet another call from a company looking for our help pursuing a Lean IPD project! Brian points out he talked to folks two months ago who assured him that Lean IPD is just 'flavour of the month' and has run its course in Canada. Strategy+Business has an interesting piece on the 6 things the world’s top innovators get right! Links innovation to R and D with lots of research and stats. 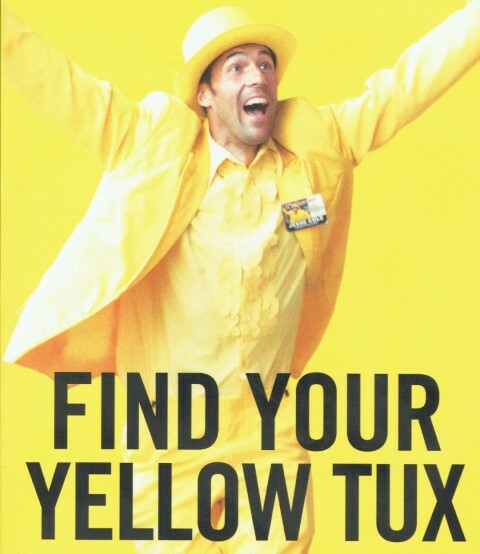 Finished reading Find Your Yellow Tux (Jesse Cole). Cole recommends making “Small Bets” to move forward in life. Incremental steps. Sounds a LOT like the pull planning process we use in Lean Design and Construction. We establish the end milestone, usually occupancy of the building, then work backwards from that, step-by-step, to plan in detail how the project team will get there. Same thing in life … set a target, your ‘fulfilling life’ using Cole’s words … then pull plan back from that, in incremental steps, to figure out how to get there! 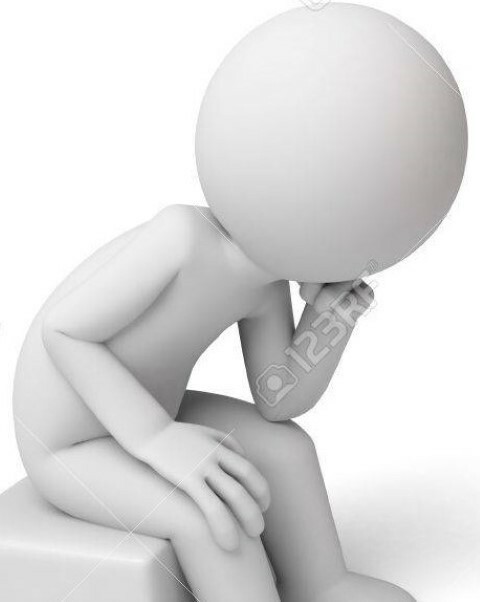 Just ‘taking a step back’ and investing time quietly thinking about, contemplating and considering ideas, concepts, philosophies, recent activities and circumstances … some may call this meditating, though that tends to conjure up preconceptions. On reflection, it’s a great habit to cultivate. Leads to better conclusions, decisions that are thought through, innovation … and it’s a great approach to relieving the stress with which so many of us are living in this hectic (chaotic?) 21st century. Brian applies this in his role as a strategist, advisor and facilitator. When working with our clients he often reflects after a workshop, discussion, debate … and then shares those thoughts. Reflection is a key process in Lean design and construction, and in project delivery. Brian schedules interactive sessions with teams not so much to focus on ‘lessons learned’ or ‘root cause analysis’, but just to take that step back and consider how the project is unfolding. That then leads to focus on that other Lean principle … ‘continuous improvement’. LEAN IPD ... They Just Keep Coming! We just got off the phone with a Construction Management company in Western Canada asking for our support and advice in pursuing two more public, Lean IPD institutional projects out there. Brian spent a few hours recently with two small architectural practices that wanted his support in exploring strategies for collaboration and merger. They discussed the potential benefits including market opportunities and profitability. What the end state might look like in 5 to 8 years, including business structures. And some early ideas about how to configure and execute a successful transition that would allow each practice to complete its work in progress, while building the new joint firm and pursuing business for it. Brian sent them a few of his working checklists for the things to think about while moving forward. With emphasis on the always-crucial 'chemistry' in the personal and business relationship. They are planning to implement around the end of this year ... when well planned, it doesn't take that long to put structure and processes in place! He has made us available to provide additional advice and support as needed. The previous item in What’s New? talks about Mary Robinson, former PM of Ireland, who has found her passion … saving the planet. How do we find ours? 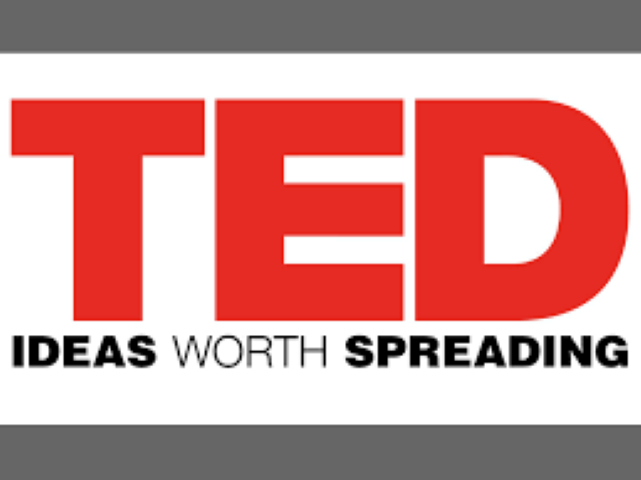 Here’s a quick little piece from TED that lists 5 ways to find that passion. Yes, there are still those who deny climate change. Yes, there are governments who refuse to act to mitigate then eliminate the negative impact on those of us who live and breathe today, and on successive generations. As a bit of an antidote, we came across this piece by Mary Robinson, former PM of Ireland, who has made her raison d’etre – saving the planet. Brian delivered what is becoming an annual lecture to the M.Arch. class at the Daniels School of Architecture at University of Toronto on LEAN and Integrated Project Delivery. Very well received as always. "Thanks so much for your great Lean IPD Lecture on Wednesday. PLUS Integrated Project Delivery using the new CCDC 30 Multi-Party Contract to share risk and reward across the project team, collaborate and integrate services, AND employ those LEAN principles that probably deliver greatest benefit in an IPD contract setting. Deliver greater value through the project, respect the people on the team, eliminate waste, and engage in continuous improvement. Brian emphasized that all of this requires a HUGE cultural shift – a new way of thinking – on the part of the entire project team! All delivered in less than 90 minutes!! Brian spent Monday leading an educational workshop on LEAN and Integrated Project Delivery for a long-time AE client. 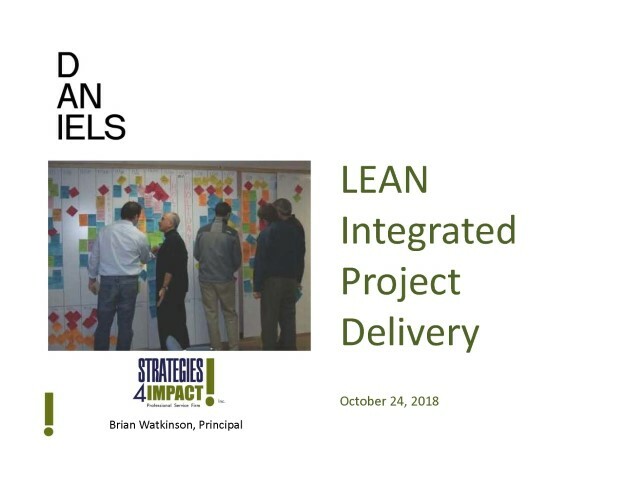 This design practice is busy creating its own LEAN IPD project by having Brian help them educate a current client on LEAN IPD and explaining the many benefits for the client and current project. That's a strategy Brian has been recommending to all of our clients. A key message from this session was to distinguish between LEAN Design and Construction and IPD. Lean can be applied to ANY project delivery model … Design-Bid-Build, Design-Build, Construction Management … though it probably delivers greatest value in IPD. This was the first in a planned series of sessions with our AE client. Now in use, this is one of the first LEAN IPD projects for a municipality in Canada. “The UN report notes that discouraging carbon, encouraging renewable energy, and investing in conservation will be the major pillars of fighting climate change. But provincial and federal Tories have relentlessly caricatured green energy and carbon pricing by exaggerating the short term costs and ignoring the long term benefits. 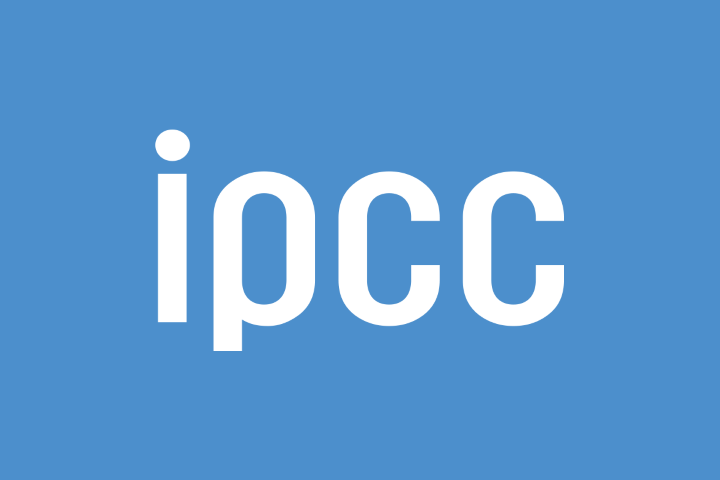 As we’ve been seeing and hearing in the media, the IPCC just released its first report assessing the impacts of 1.5 degree C global warming against allowing temperatures to rise 2 degrees C.
And those impacts are huge and threatening. The Report stresses that we're already seeing the negative effects of a 1 degree rise over a few decades. Extreme weather, rising ocean levels, reduction in Arctic ice, just to name a very few. Recent weather events, e.g. hurricanes hitting the US coastlines, clearly demonstrate the huge impact on human health, safety and wellbeing. The Report also analyses some approaches we can take to limit global warming, primarily through reduction of ‘greenhouse gases’ – CO2. Global net human-caused emissions of carbon dioxide (CO2) would need to fall by about 45 percent from 2010 levels by 2030, reaching 'net zero' around 2050. How will all of this affect you, your family, your community, your business, your daily life? Canada and the US are among the 195 countries that are members of the IPCC. 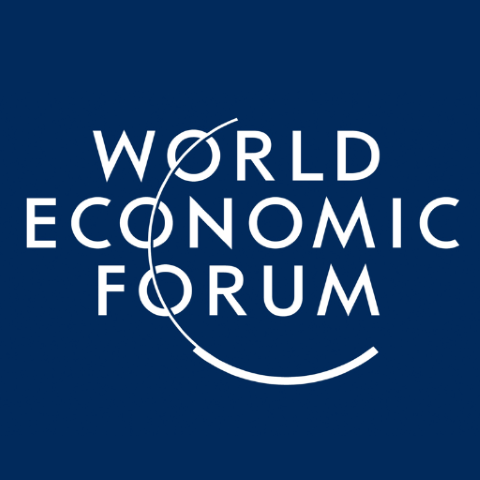 The World Economic Forum projects that while the application of automation and artificial intelligence will eliminate millions of jobs four years from now, this will also lead to the creation of jobs … 58M more than eliminated worldwide. Businesses of all kinds, institutions, governments will all need to develop strategies to transition workforces. In the case of governments there are critically important policy implications that need to be dealt with … yesterday. Individuals need to incorporate all of this in planning their own career trajectories. Think about the implications for YOUR enterprise. Start to develop YOUR strategies by reading the Report HERE. 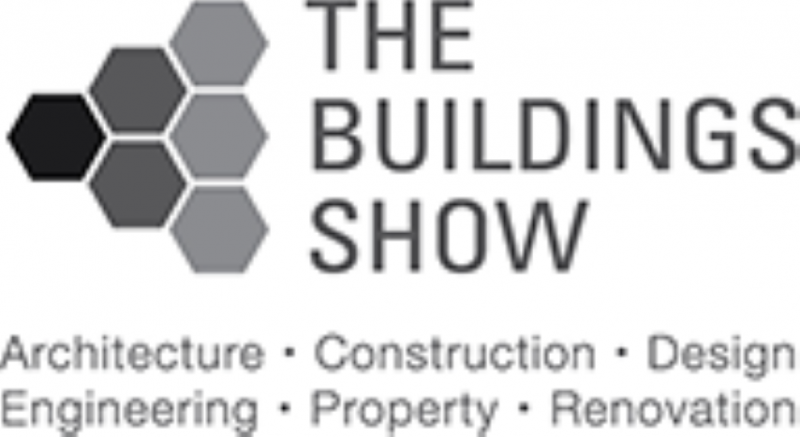 Brian has assembled a panel for this year's Building Show to discuss how to apply Lean Principles and Processes to Design and Construction using ANY delivery model. Design-Bid-Build, Design-Build, Construction Management or Integrated Project Delivery. All to deliver greater value, eliminate waste, shorten schedules and reduce budgets – all while maintaining high design and construction quality. Brian will speak from the architect and facilitator perspective. Cliff Harvey, Chief Planning Officer at Niagara Health will highlight why owners are so interested in this topic. Marcus Gillam, President and CEO of Gillam Group, will discuss his views from the construction side. There’ll be a case study and lots of time for discussion! Three this morning alone! Looking for education, training, mentoring, coaching … facilitation! And Brian still has a list of current clients he owes these professional services to. We’re spending a lot of time talking to project teams about collaboration and integration, and not just on Lean IPD (Integrated Project Delivery) projects. On smaller projects it can be very challenging to justify dedicating staff of team member companies and the owner to a single project. Studies show that teams with high levels of geographic, operational, and cultural differences also reported lower levels of trust, innovation, satisfaction, and performance than those with more closely located teammates. Is there a way to work remotely but with connectiveness, constructive relationships, commitment and collaboration? Article in Strategy+Business discusses some ideas. Example: Plan and schedule regular times to “just catch up” … when co-located, studies show folks spend about 8% of their time ‘socializing’. So let’s try to replicate those opportunities. More thoughts in the article. icipates this will lead, among other things, to new energy standards, expansion of energy-labelling programs and adoption of high-efficiency building codes. The government is looking for partners in this initiative. Big opportunity for the design and construction sector!! Mark Kushner is a practicing architect in the U.S. who also curates an online exhibit of world architecture on Architizer.com. · Fast Forward - new materials and systems, new ways of constructing - buildings that eat smog? Generally there's a single image of each building, with commentary by Kushner. 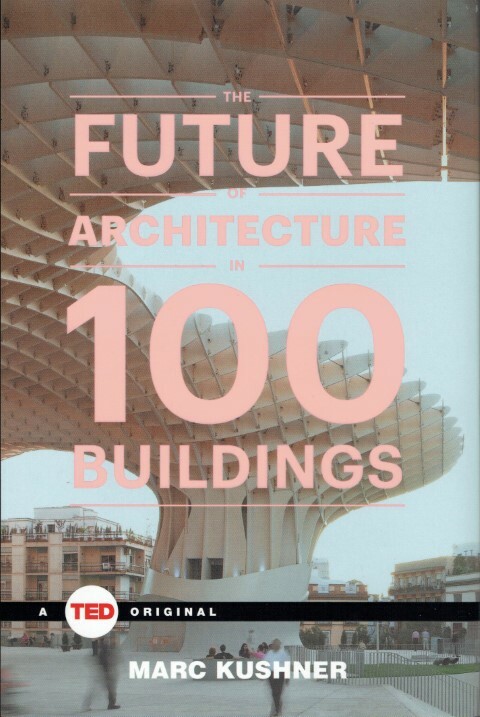 A very interesting, thought-provoking read for anyone who has an interest in building! In other words "Differentiate Yourself". Very quick, easy, entertaining read. Cole is owner of two college level summer league baseball teams. Both perennial losers. He turned them around spectacularly. By being different than all of the competitors. He turned a college football game into "a circus" by framing it as entertainment. A circus with Cole as the ringmaster ... wearing a yellow tux and top hat. Both teams started attracting bigger crowds, making (not losing) money ... winning. How can you apply this kind of thinking to YOUR situation ... you and your entrprise? 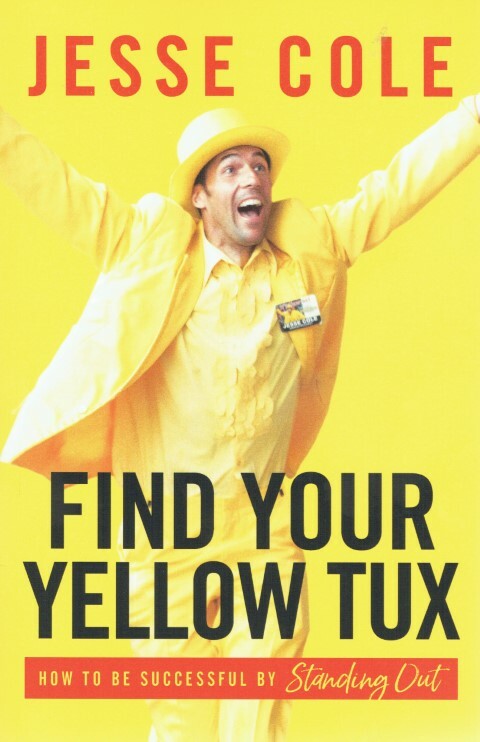 "... finding your yellow tux is about standing out and sharing the best version of yourself." "It's about you, your business, your legacy." "That's why I say if it's normal, do the exact opposite." BUT "... yellow tuxing isn't about being different for the sake of being different." 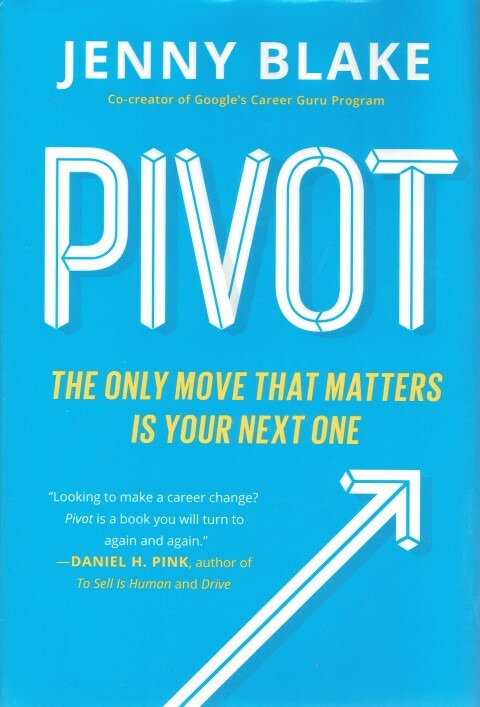 The latest from Daniel Pink, author of A Whole New Mind, Drive and more. This time his focus starts with our internal clocks, circadian rhythms. When to make or NOT make fateful decisions. Don't go 'under the knife' in July, research shows ... young interns flood into hospitals as full-fledged docs and are more prone to making mistakes. It's known as 'killing season' in England. Are you a 'lark' that excels in the morning? An 'owl' that excels in the wee, small hours? Or what Pink calls 'third birds' that are somewhere in between? He says we often ask "Who? What? Where? Why?" but too often forget to consider "When?". Hence this book. He focuses on beginnings, midpoints and endings ... and more. 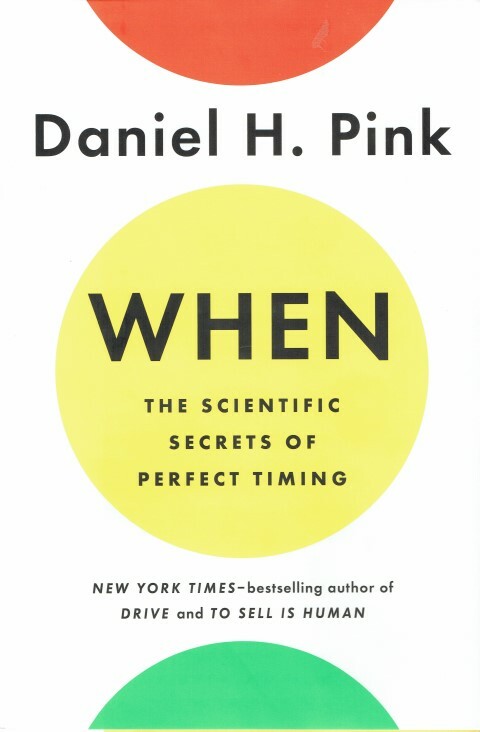 Fascinating read that brings 'scientific secrets of perfect timing' into play. psychology, biology, neuroscience and economics. This will get you thinking about your past, present and future. And when you should make those fateful decisions! Pivot YOU ... Pivot Your Enterprise! Jenny Blake created the Pivot Method to guide those 'impacters' among us who are planning career changes. Impacters are individuals who optimize high net growth and impact, not just high net worth. They love learning, taking action, tackling new projects, and solving problems. They are generous and cooperative and imbued with a strong desire to make a difference. And candidates for career change. Scan - what are the opportunities? Pilot - Try a few low-risk test runs before you make the big decision. Launch - Go For It! She adds another step for organizational leaders - LEAD. Lots of examples and details. And take heart. Don't worry that someone else has already grabbed your vision. "Your biggest vision is worth pursuing. Just as no two people have the same fingerprint, your ideas have not yet been tackled with your unique upbringing, worldview, and life experiences at this moment in time, in the framework of our current economy and technology, for your intended community." And, she only hints at this, but you can take the same approach to Pivoting your business!! Brian is helping businesses apply LEAN principles, tools and processes to deliver greater value to customers, eliminate waste and introduce continuous improvement across their enterprise. He has focused in particular on LEAN in Design, speaking at a number of design/construction conferences and advising/coaching private sector companies. 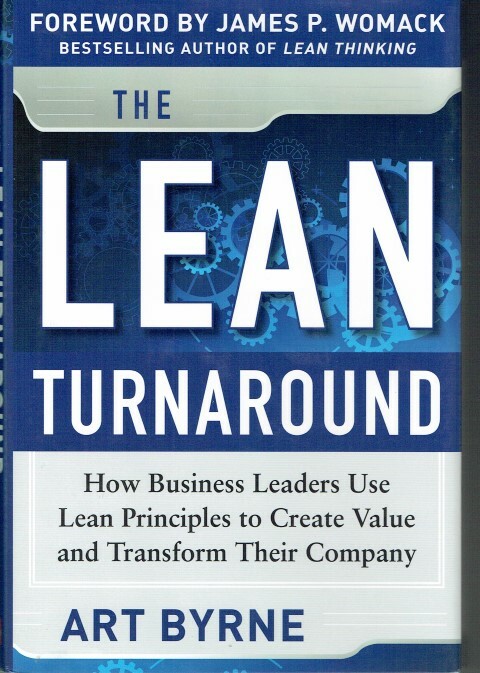 The Lean Turnaround is a great reference! Copyright 2019 Strategies 4 Impact!. All rights reserved.